Students, Assawompset School, Lakeville, MA, photograph, c. 1913. 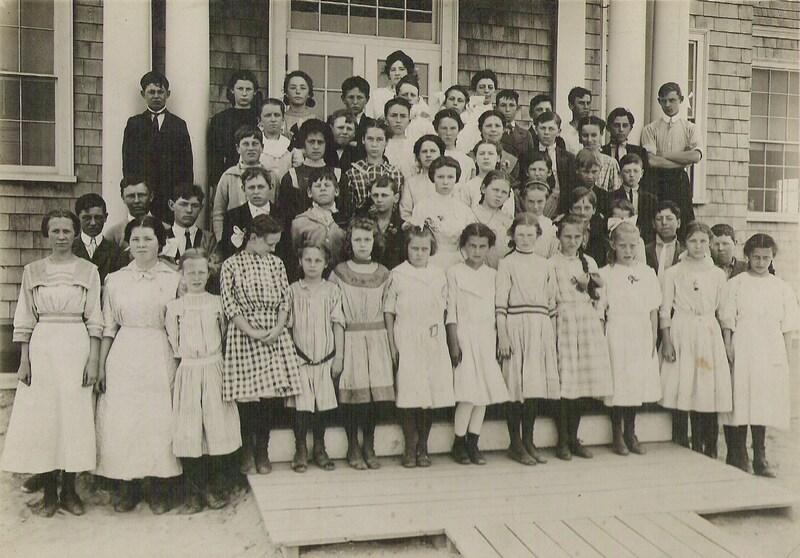 Students stand outside the newly-erected Assawompset School which was constructed in 1912 and opened in September of that year. Pictured along with the students are teacher Esther M. Barnes and school principal Elizabeth H. Benson.